At Antineo, we perform MTT assays to assess the cytotoxic potential of your compounds. 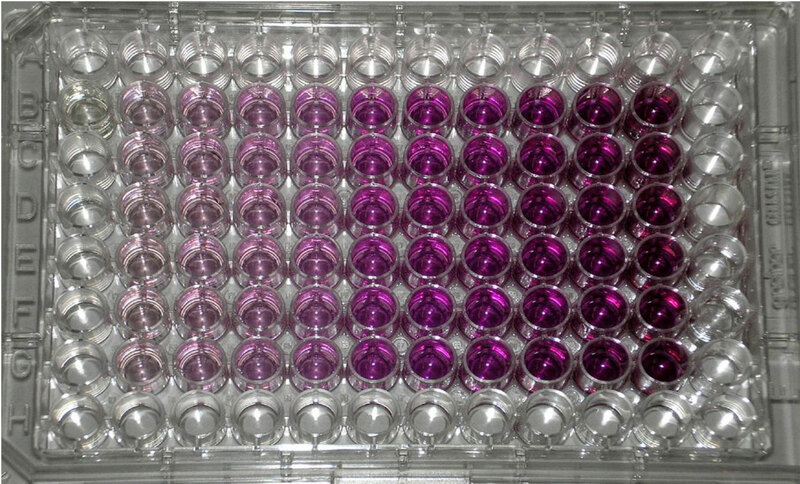 This efficient assay determines the IC50 of your compound on a given tumour model. 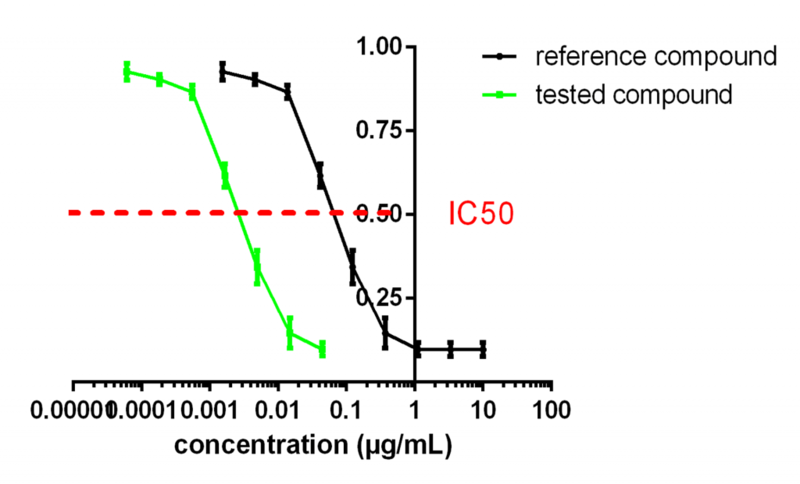 The IC50 is the concentration for which the compound induces a 50% decrease in mitochondrial metabolism (correlated with cell survival) in comparison to control. MTT assays are used to screen our bank of preclinical tumour models for sensitivity to your compound, but also to compare the ranges of sensitivity of a given model with the gold standard. They can also help you to screen for unwanted cytotoxicity. The assay is performed with triplicate wells per concentration and the IC50 is calculated with the Compusyn software (ComboSyn Inc, USA). Antineo is able to complete the data obtained in end-point MTT assays by continuous-monitoring assays (see continuous monitoring).ee continuous monitoring).